Tramway's parade. - 1956. - 1 photograph. 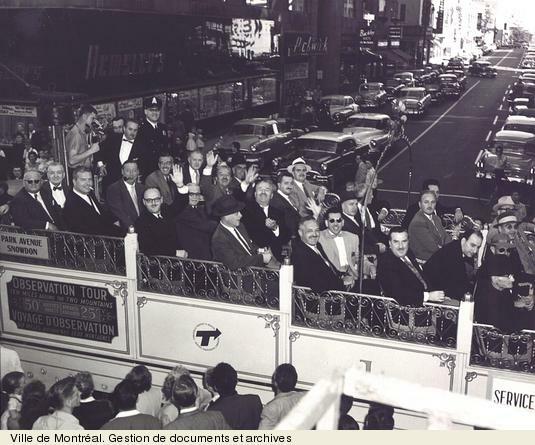 We can notice Jean Drapeau in front.